The first sign you are being welcomed in a Chinese household is the massive platter of fruit that appears in front of you. “Please help yourselves,” says Baolong Wang, one of the managers for the Chengdu Hunters. Even though we are all saving our appetites for dinner, it’s the gesture that counts, that says, make yourself comfortable and stay for a while. 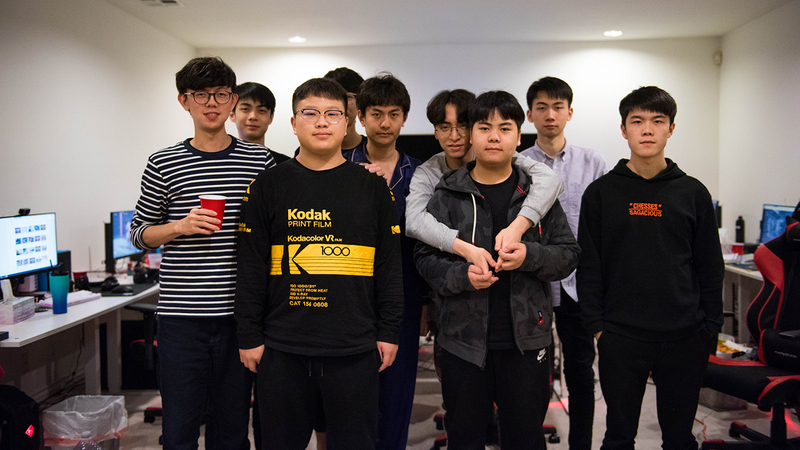 It’s the day before Lunar New Year, and the players are just finishing up their team meeting; there was only one scrim block scheduled for the day so that everyone can relax and enjoy the festivities. 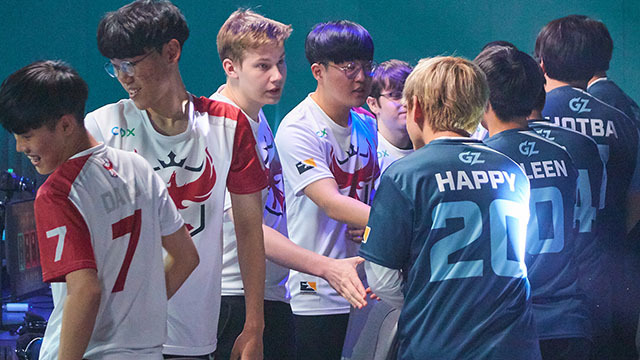 The holiday fell on Feb. 5 this year, meaning players across the Overwatch League are currently neck-deep in preparations for the start of the 2019 season. 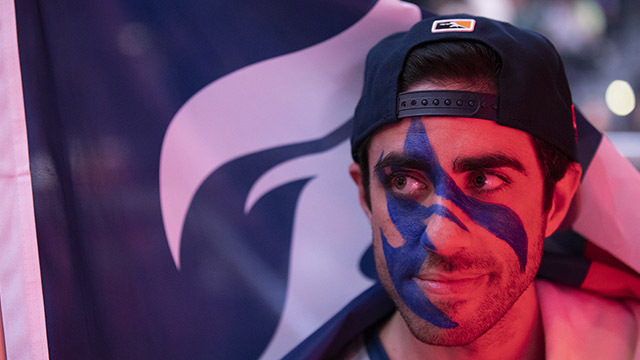 The Hunters themselves have barely had time to adjust to life in a new country, thrown into the frenzy of onboarding for the Overwatch League and getting their two team residences set up. 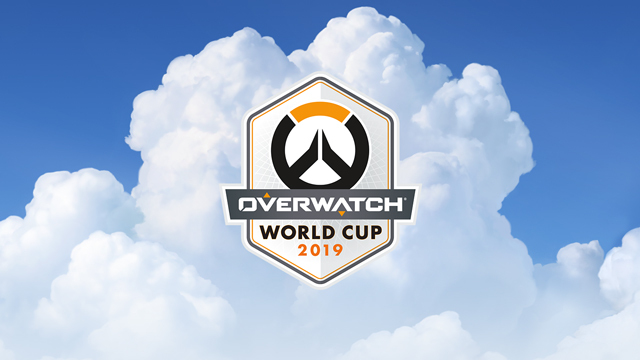 Two of their players haven’t arrived yet due to visa issues, and the match schedule won’t wait for them. 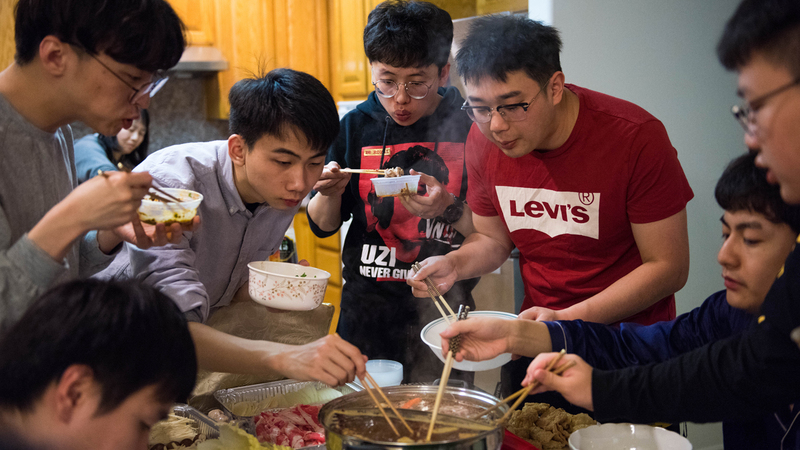 Time is precious, but so is the occasion of Lunar New Year, so the players pause their practice for just one night and gather ‘round to celebrate. The managers spent hours shopping for ingredients earlier that day, resulting in a spread that’s ostensibly for 16 people, but could easily fed twice that number: beef, lamb, shrimp, dumplings, all manner of fishcake and tofu and mushrooms, leafy and root vegetables, and four types of soup stock in which to swish, soak, and steep the ingredients. On the kitchen island is an assortment of chili oil, shacha sauce, sesame oil and paste, garlic, cilantro, and scallions to mix into a veritable science experiment of condiments. Someone puts on the VOD of the CCTV New Year’s Gala, which is officially the world’s most-watched television program, and a time-honored tradition for family gatherings. It’s like New Year’s Eve programming in the US, but exponentially more extra. 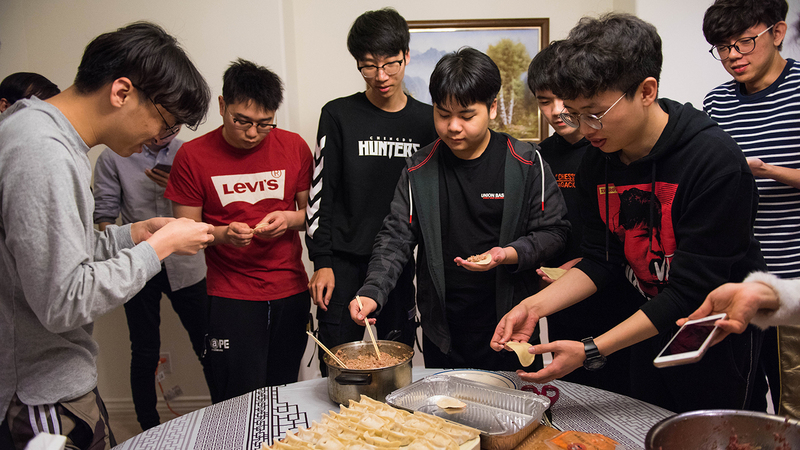 Baolong gives a brief toast—to the team’s first Lunar New Year in a foreign place, to the players’ success in the upcoming season—and then it’s time to dig in. Hot pot teaches patience. Some ingredients, like the thinly sliced meat, provide instant satisfaction, while others require minutes of quiet simmering before they’re ready. After you lift out whatever morsel, using either your chopsticks or the communal ladle, and it leaves a trail of broth all the way to your bowl of condiments, and you can’t tell whether it’s the steam or the spice that overwhelms your nasal passages, you still have to wait a few more seconds for it to cool down. 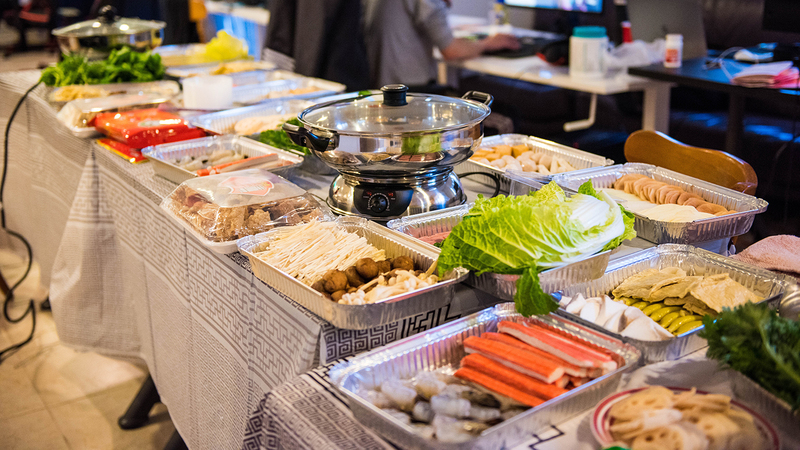 Hot pot is any number of metaphors, but it’s also just delicious. Among the Hunters, everyone has their own style. Some veer between the spicy and non-spicy broths to give their taste buds some relief; some stay in one spot, content with their flavor of choice. Some eat standing up, prioritizing arm reach over lower-body comfort. Xianyao “Yveltal” Li decides to conduct a migrating taste test of the shrimp in every pot. 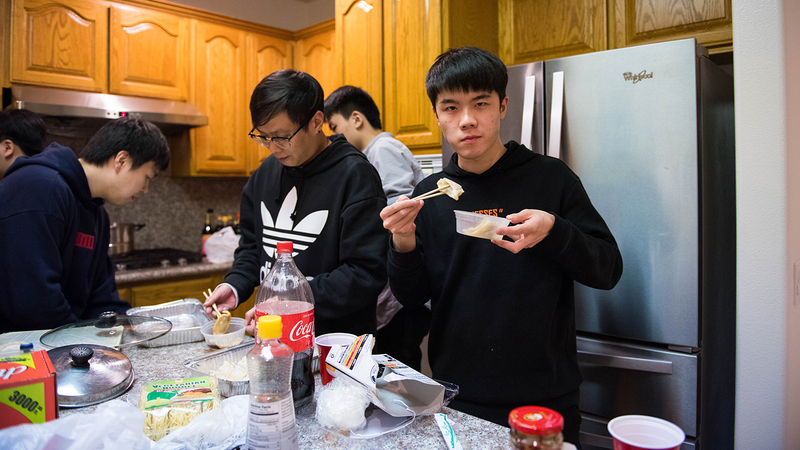 “Keep in mind we’re making dumplings later,” Baolong says. “We’re going to put a coin in it.” Traditionally, a coin is hidden away in the filling, to bless its lucky discoverer with good fortune in the upcoming year—if not a hefty dental bill. 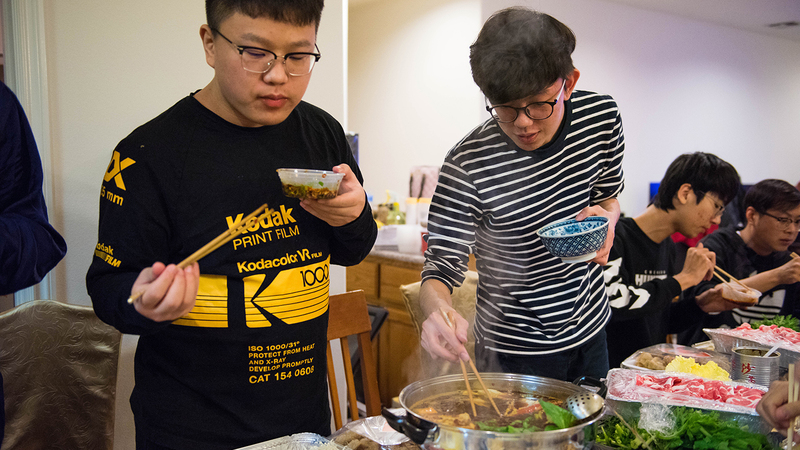 Hot pot can sometimes take hours, with multiple broth refills, but the Hunters eat fast. Eventually, Tzu-Heng “Baconjack” Lo is the last one at the table. “I don’t usually have a big appetite, but today… maybe it’s because it’s the holiday,” he says, smiling before diving back in. His teammates have all settled back into their computer chairs in front of the TV, now showing hour three of the New Year’s Gala, digesting slowly. 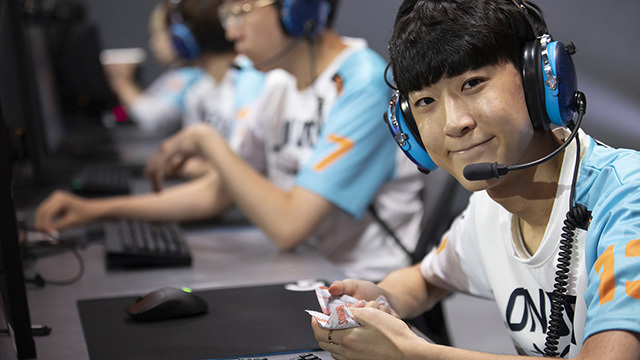 Wenjie “Elsa” Lo turns on the stream of one of his flex-tank counterparts in the league, the Los Angeles Valiant’s Indy “Space” Halpern. Lateyoung plays some Hearthstone, while others go back to Overwatch, catch up with anime, or watch viral Chinese videos. Baolong brandishes the platter of fruit again, and this time the offer is accepted. Oranges are good luck for the new year, after all. 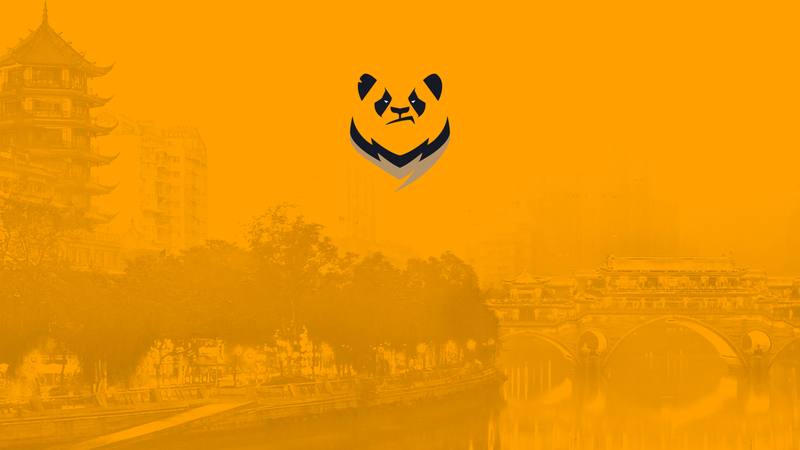 Check out what analysts are saying about the Hunters' roster. There’s one very important Lunar New Year ritual remaining: the dumplings. They’re shaped like gold ingots, signifying wealth, and folding them—however practiced or inexpert you are—is a group bonding activity. Armed with store-bought wrappers and two humongous mounds of meat filling provided by a friendly local auntie, the players take their chances, one by one. As Chunting “Kyo” Kong glops some filling onto his chopsticks, Li “Garry” Guan asks Baolong for some tips. “Start from the outside and move inward, but just make sure to pinch it shut without everything falling out,” is his answer. APM isn’t important here, and craftsmanship—the pursuit of perfect folds—is secondary to structural integrity. Alas, Baolong’s advice is a little too late for Kyo’s first attempt. A few of the players seem to be having trouble adjusting to this outside-in meta, so they get creative. 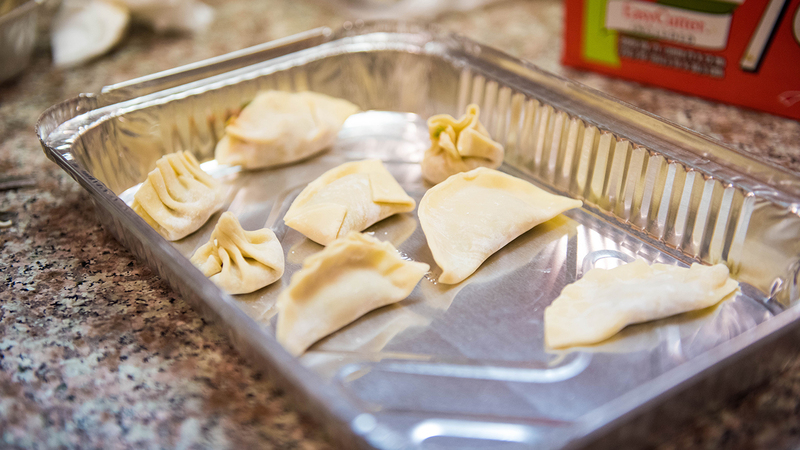 Kyo’s second try yields a round, twisted soup-dumpling shape; there are un-frilled pierogi likenesses, and one made by the team’s head coach that just resembles a flat envelope. All a dumpling needs to do is pass the boil test, though, and the Hunters all have managed to make at least one successful dumpling. They’re gone in a second after sopping up a little bit of black vinegar, as the New Year’s Gala finally, after five hours, comes to an end. No one gets a mouthful of metal in their dumpling, but that’s OK. Among the vast sea of Lunar New Year greetings, there is one hanging from the whiteboard in the front hallway of Chengdu’s team house that reads: “Welcoming the spring and receiving good fortune.” In the new year, the Hunters hope to do just that. 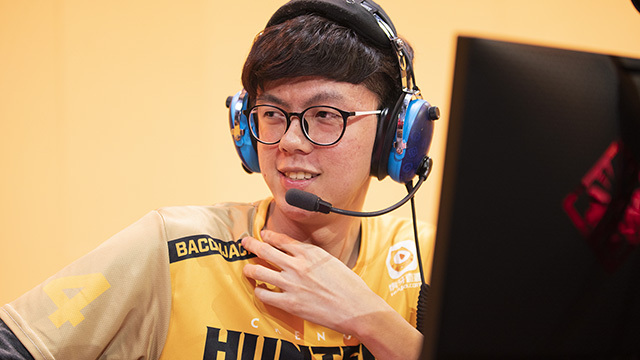 The Hunters will open their season on Friday, Feb. 15, at 8:30 p.m. PST, against the Guangzhou Charge. 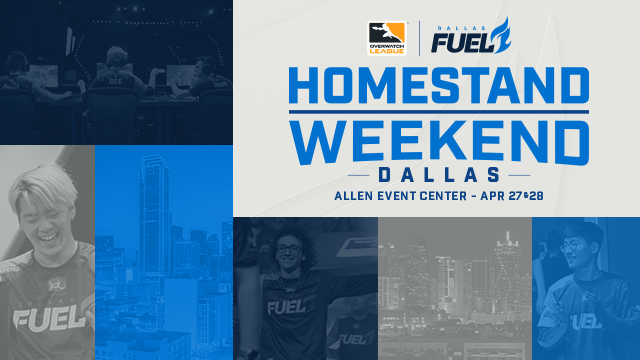 Catch all the action live and on demand on overwatchleague.com, the Overwatch League app, our Twitch channel, MLG.com, and the MLG app.